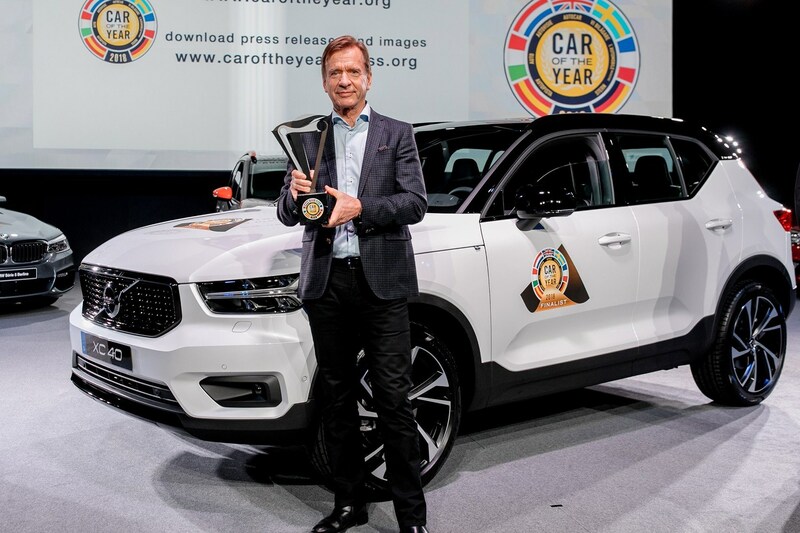 Volvo’s XC40 has stormed to victory in Car of the Year, beating the Seat Ibiza and BMW 5-series into second and third place. 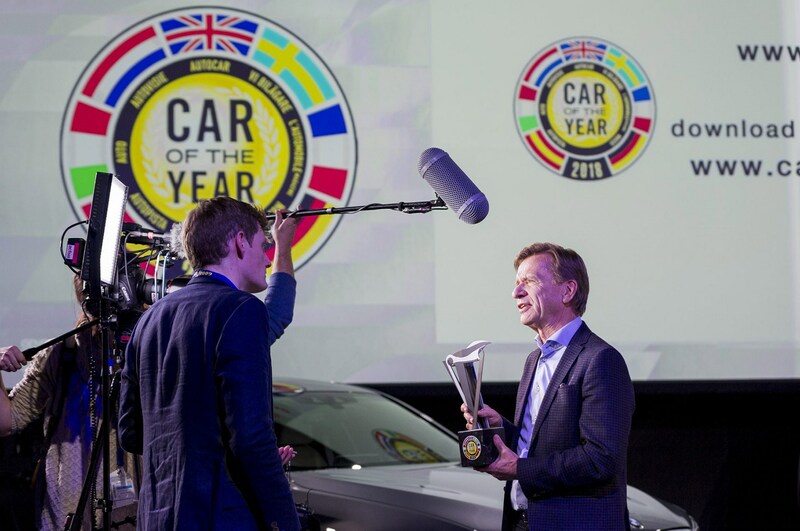 The prestigious award, voted for by a jury of 60 European journalists including CAR’s Phil McNamara, was announced at the Geneva motor show today (5 March). 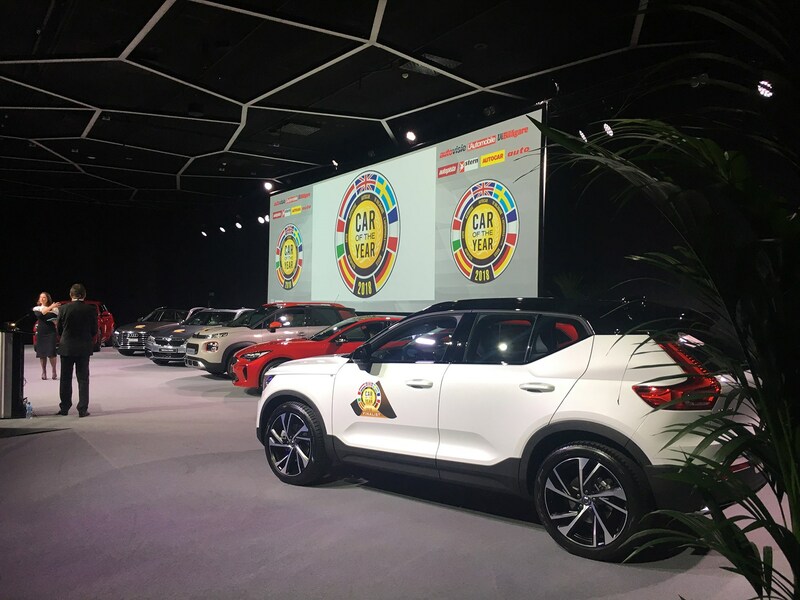 The Volvo takes the crown from last year’s winner, the Peugeot 3008. Car of the Year, inaugurated in 1964, is one of the most transparent motoring prizes, with all jurors submitting written testimonies to explain their voting. For the full list of verdicts go to: http://www.caroftheyear.org or read on for Phil McNamara’s verdict and his points awarded, in alphabetical order. 2018’s shortlist is full of great cars, with all seven worth points. Alfa Romeo’s Stelvio is the SUV for keen drivers, with responsive communicative steering, strong four-cylinder engines and a reasonable ride. But it’s technologically stunted: owners must forego a big screen, digital instrument pack, driver aids and widespread smartphone mirroring. The V6 TFSI’s air-sprung ride and refinement are special, and the mild hybrid system enables engine-off coasting to save fuel. But a work in progress: the line-up is limited, touchscreen icons are fiddly, and key active suspension and autonomous tech is still in the pipeline. Kudos to Audi for assuming Level 3 highway autonomy liability though. From 592bhp AWD M5 to 530e plug-in hybrid, creamy sixpot Tourings to the 65mpg 520d, BMW’s 5-series has something for everyone. It’s dynamically exceptional, comfy and quiet, holds its value and a 520d can be leased for £349 a month. Apple CarPlay and many driver assistance systems are cost options though. But for me, it’s the car of the year. Citroën’s C3 Aircross is not a driver’s car, lacking composure with lots of body roll and imprecise steering. But it has many virtues to make it a family favourite: a cute design customisable with two-tone colour, a cushy ride, a versatile cabin with a sliding/folding rear bench and decent room for people/luggage. It’s great value for money too. The Stinger is well out of Kia’s comfort zone: a rear-drive Gran Turismo costing from £32,000. It has a fun, biddable chassis with a standard sporty differential, a high-quality cabin with myriad goodies that’d cost extra elsewhere, lots of space and decent residual values. But the petrol engines, though likeable, drink lustily with a CO2 penalty. Seat’s spacious Ibiza puts the super into supermini. It’s fun to drive, with precise controls and lots of grip, and though it’s a pretty refined cruiser, the ride can be choppy. Upper trims get a clear 8” touchscreen, options such as smartphone link or rear camera are cheap, and standard autonomous braking helped secure a fine crash test rating. The handsome exterior is eclipsed by a roomy cabin elevated by beautiful design details. Highway refinement is splendid, and cruising gets even calmer with effective semi-autonomous Pilot Assist (£1400 including blindspot alert). You can lease one for under £300 a month, used values are strong, and it’s a decent steer. What a desirable compact SUV!